Casino Cruise is a UK casino site with fun seafaring theme. Step onto the deck and wave goodbye to dry land as you head off on a gaming adventure. With mighty ships, captain’s hats, seahorses and whales all over the site, you could almost be cruising the Med as you spin the reels of your favourite online slots. If you like the idea of a Casino Cruise, hopping from luxury destination to luxury destination, you should give this a try. But what is it like to play at Casino Cruise? Find out about the welcome bonus, wagering requirements, game selection and more in this article. Grab your passport and seasick medication and jump into SpinCazino’s Casino Cruise review to learn more about this new casino site. There’s an initial 100% first deposit match up to £200 on offer at Casino Cruise, along with 200 Free Spins. You can use the spins on Starburst by NetEnt and they come in at a rate of 20 per day for ten days following your first cash injection. They arrive at midday and you have 72 hours to get through them. After that, there are some sweet reload bonuses for the second, third and fourth deposits too. This should ensure that you stick around for a while. You earn half your second deposit, up to £200, and a quarter of your third and fourth, up to £300 each. This means you could score up to £1,000 in bonus cash and 200 spins. It’s a decent return on your initial funding, although the 40x wagering requirement is a little higher than some other UK casino sites. It’s not one of the worst, by any means, but there are more generous deals out there. One thing that Casino Cruise does well is promotions. 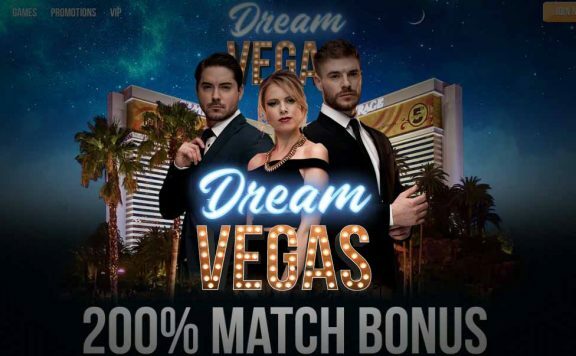 A lot of new casino sites go big on the welcome bonus, but forget existing players. This is not the case here, with a number of regular bonus events for both new and old members to enjoy. In addition, at the time of writing this review, there was a special cruise based competition too. This shows how well thought out the theme of the site is. The fact that the casino has tailored a promotion to fit in with its brand so well speaks volumes. It shows care and attention, which are great signs when picking a new casino site. 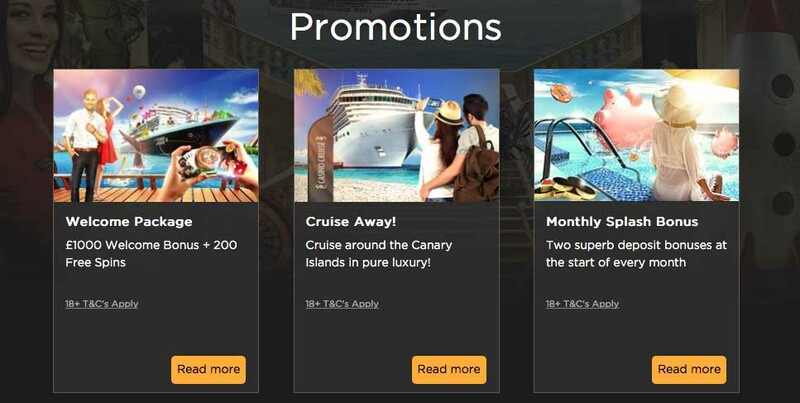 The deal is a prize draw mechanic, with a cruise around the Canary Islands on offer. A very good prize for a new casino site. There is a VIP programme at Casino Cruise, which promises to tailor its offer to each customer. Appropriately for the theme of the site, it’s called the Captain’s Club. In addition, the levels of the scheme are all named after different plush suites aboard a luxury liner. When this site picked its theme, it really ran with it! As you work up the ladder you earn gifts, bonuses, higher withdrawal limits, cashback and more. It’s well stocked with offers and will encourage players to stick with this intriguing UK casino site. 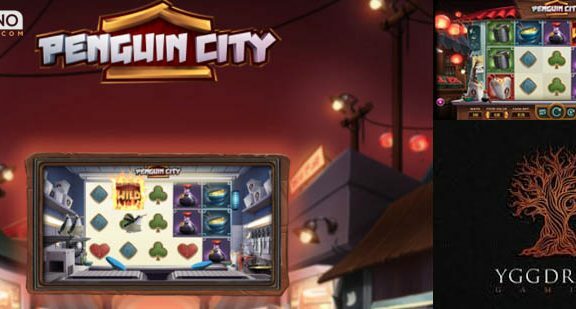 Casino Cruise comes from the same expert squad as Spinit and Genesis Casino. As such, the games section is similarly brimming with top quality titles. There are more than 1,300 of them here, which is more than enough to mean you never run out of fun. The vast majority of the games at Casino Cruise are slots, as you would expect. They come from the cream of the crop when it comes to games developers. Titles from NetEnt sit next door to Microgaming products, with Play’N GO and Yggdrasil also present. You’ll find some of the most popular slots games on the market here, with new developments coming out all the time. As a big games maker releases a new title, it turns up at Casino Cruise. From Vikings Go Bezerk to Starburst to Valley of the Gods to Jurassic World and so on, there’s something for everyone. Interestingly, the site also has a Free Games section. Most UK casino sites allow you to choose between real play and demo play in one, central games library. Here, there is a section dedicated to the demo versions. They have obviously noticed that many punters like to try before they buy. 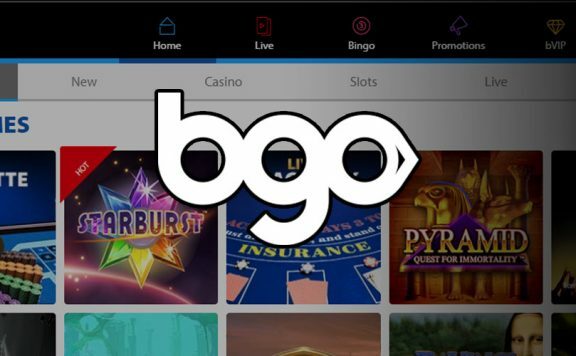 Although there is a section for free play, there’s no separate jackpots list. The site does have jackpot slots, but you have to search the out. This is a little misstep for Casino Cruise. Part of the way people decide which progressive jackpot slot they want to play is by comparing the current top prize level. When they are on one page, this is easy. When they are not, it is frustrating. Jackpot slots on Casino Cruise include Divine Fortune, Mega Moolah and Mega Fortune. Another quirk of Casino Cruise is that there isn’t a single table games section advertised. They are grouped into menu headings such as Blackjack, Online Roulette and Poker Games. This is likely due to the cruise ship theme where, in real life, players would concentrate on table games more than slots, so they are further divided to appeal to the experts. 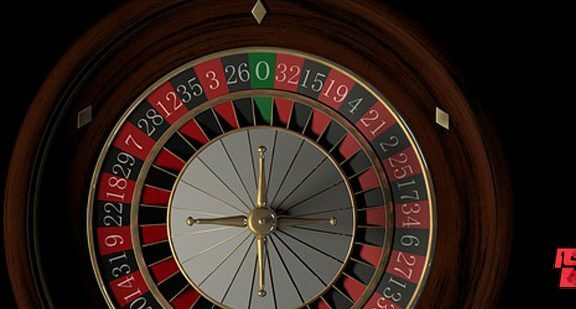 In fact, if you hit the roulette or blackjack links, you arrive at what actually is just a general table games section – the same one whichever you press. The poker link takes you to an information page. This baffling navigation on both desktop and mobile is a real shame. The Live Casino link, thankfully, takes you to the live casino. There are loads of games here, with NetEnt and Evolution Gaming sharing responsibilities. 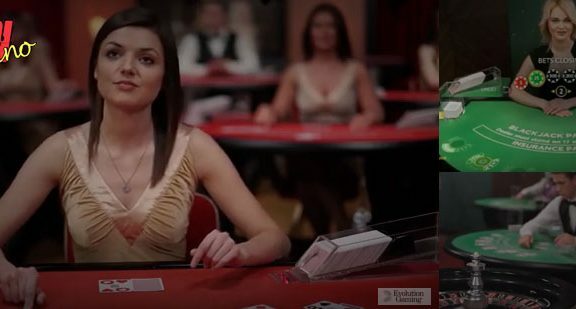 You’ll find every possible variation of every game there is currently a live dealer version of. This is the way to do a live casino. Casino Cruise is a UK casino site, but has offices in Malta. As such, it comes with licences from the Malta Gaming Authority as well as the UK Gambling Commission. It prides itself on keeping users’ personal data safe and guarantees to keep deposits secure. The games undergo rigorous testing to ensure there is always a level playing field when you stake on a title at Casino Cruise. The mobile site keeps the nautical theme going and runs nice and smoothly. Navigation is generally good, except for the issues with the roulette, blackjack and poker headers. The games launch in an instant and look great on the smaller screen, making this a perfect option if you like your gaming on the go. It’s simple to fund your Casino Cruise account, with the site accepting payments from credit and debit cards, eWallets such as Trustly, Neteller and Skrill, and prepay cards too. There’s no Paypal or Bitcoin options, but they are fair from commons payment methods in the UK casino site world. There are certainly a good number of alternatives available here. Casino Cruise’s prompt approach to paying out prizes is definitely to its credit. Withdrawals should see no delay from the casino’s end, with only the industry standard processing time by the method of your choice keeping you from your cash. eWallet funds arrive immediately, with debit and credit card payments with you in a matter of two or three days. You won’t find quicker anywhere else in the industry. The customer services team at Casino Cruise are on it. You don’t need to wait around until lines open in the morning, and they won’t leave you with an email address that no one answers. Instead, each department you might need to contact has its own email address, with a free phone number and live chat interface as back up. You won’t have to chase them up, they are attentive and helpful. The negatives about Casino Cruise include the weird navigation that makes it more difficult to find your favourite game than it needs to be. There’s also the slightly above standard wagering requirement for bonus funds. However, the positives outweigh these cons quite easily. It looks great, has plenty of games, a decent welcome bonus and expert customer service. On the whole, you will be very happy at Casino Cruise.